CHASKA, Minn. — Investigators say they found a car and two bodies in a pond in Chaska, Minnesota, shortly after resuming a search Sunday for two young women who went missing early Saturday. 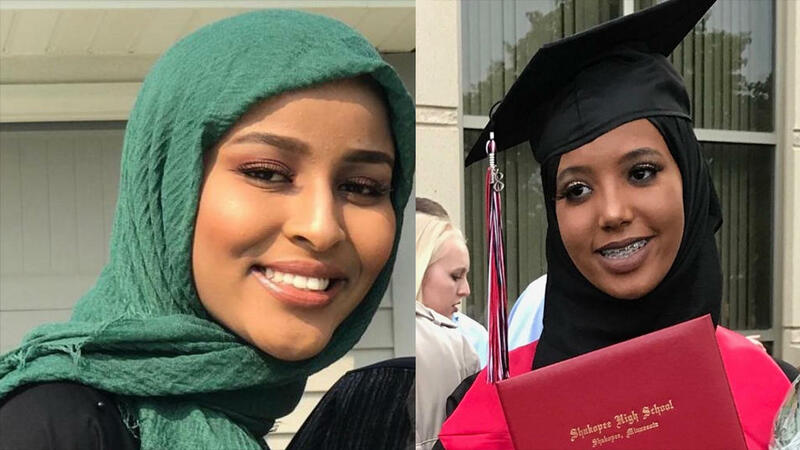 CBS Minnesota reports their families say 19-year-old Bushra Abdi and 19-year-old Zenyab Abdalla, both from Shakopee, Minnesota, left their workplaces early Saturday and later called 911 for help. They haven't been seen since. Family members say they both work the night shift and typically meet in the Chaska area on their lunch breaks. One works in one in Shakopee and the other in Chaska -- both near Minneapolis. The investigation turned to a swamp just off a local road Sunday afternoon. NOW: Hundreds of members of the Somali community have gathered near a swamp in Chaska after a car was seen in it. Authorities said a silver car was found in the swamp but wouldn't confirm whether it was the car the women were in when they were reported missing. Officials also said two bodies were found in the water but didn't say whether they were those of the two missing women. CBS News' Jamie Yucas reports the Minneapolis Somali community is very upset. Leaders of that community say the bodies were those of Abdi and Abdalla.